For most medical application, we offer 400 and 700 series specification with accuracy to +/- 0.1°C from 25°C to 45°C per EN 12470. 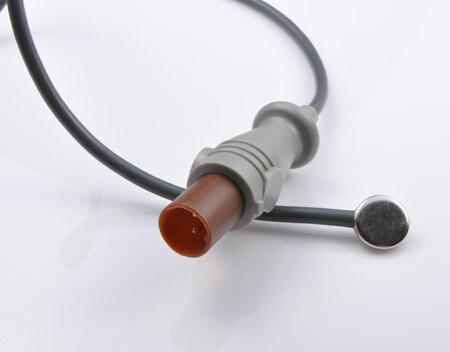 Temperature Range: 0 to 50°C In special requirement, we also can customised your temperature probe specification. For different measuring applications, there are options in skin/surface and esophageal/rectal probe types for adult and pediatric, neonatal. The plastic material meet general medical steam autoclave requirement or even ISO 10993 and FDA USP class VI biocompatibility by your requirement. Standard 6.35 mm phone plug, mini-DIN connector, or customised plug by customer s reqirement. 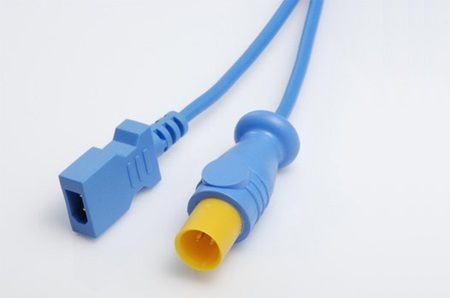 For meeting disposable requirement, we can make compatible or your own design cables and adaptors. Welcome OEM/ODM your Temp Probes/ Cables and find your solution.